The Brennan Center for Justice recently released a summary of independent redistricting commission best practices. The Brennan Center for Justice summary states, “Not all redistricting commissions are equally effective. To assess the strength of earlier redistricting reforms, the Brennan Center interviewed a diverse group of more than 100 stakeholders who were involved with redistricting seven jurisdictions that use some form of commission to draw maps. These included both state-level redistricting commissions (Alaska, Arizona, California, Idaho, Iowa, New Jersey, and Washington) and municipal commissions (Austin, San Diego, and Minneapolis). The structure, design, and operation of these commissions varied greatly, ranging from commissions that included direct political appointees and, in some cases, even elected officials, as in New Jersey, to commissions, like California’s, whose goal it was to have ordinary citizens serve as members. The commissions also varied in size, their map approval processes, and their substantive rules. The Brennan Center for Justice summary pulls together information that has guided our work in helping to draft SB 22 and House Bill 722 and in subsequent and ongoing negotiation and discussion with legislators. 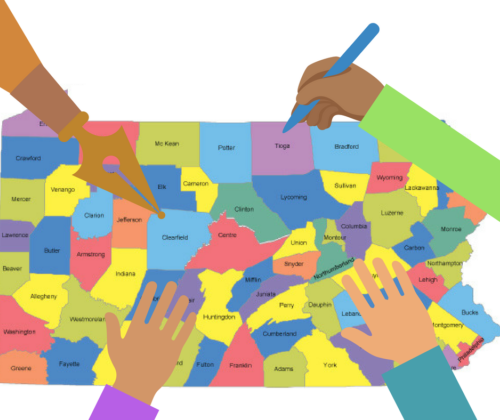 Experts at the Center, including Michael Li, Tom Wolf and Yurij Redensky, have regularly offered advice or analysis of our own efforts, drawing on their extensive knowledge of redistricting processes in states across the country. Join and help end gerrymandering!